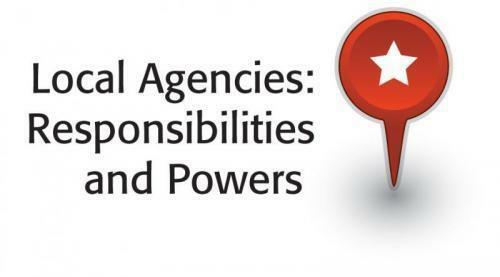 This section of resources is devoted to informing newly elected and appointed officials, staff, public and media about the roles, responsibilities and powers of local agencies. Topics include the authorities and limitations of local agencies, sources of law and descriptions of individual agency functions as defined by statutes and charters. Different kinds of public agencies have responsibility for different kinds of functions. The document (at right) describes the types of local and regional agencies in California. Local agency governing bodies make policy and spending (fiscal) decisions. What can local agencies do to address issues that arise within their boundaries? To keep local agencies in compliance with state and federal laws, local agency counsel must research several kinds of law.